One of the big issues for anyone who is preparing to survive a disaster is determining where they are going to ride out the disaster and its aftermath. For most of us, this ends up being out homes, simply because we can’t afford a fancy survival retreat, off in the woods somewhere. That’s not to say that staying home and “bugging in” will always be the best possible answer. The people of Southeast Houston discovered that when Hurricane Harvey flooded their homes. For those people, there really wasn’t any other option than bugging out, regardless of how well prepared they were or weren’t for a disaster. This just illustrates why we all need a bug out plan of some sort. As part of that plan, we need a pre-planned destination, where we will go when we expect a disaster to hit. Ideally, that’s a location that’s far enough from our homes, that it won’t be affected by what’s happening at home. At the same time, that destination needs to be close enough that we can actually reach it. Having a survival retreat 1,000 miles away probably won’t do any good, unless we also happen to have a helicopter with at least a 1,000 mile range. Two basic solutions have risen up as the “classic” answer to this need; a cabin in the woods and a bunker. While most of us really can’t afford either of these, there are those who can and do. 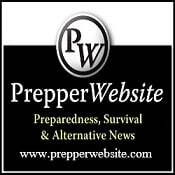 Some build their bunkers off in the woods somewhere, while others build them under their house, which eliminates the problem of trying to get from your home to your survival retreat. But is a bunker an ideal survival retreat or not? A lot of that depends on what it is that you’re trying to survive. The general idea of bunkers came about in response to artillery. As cannons grew in size and destructive force, replacing the catapult as the main artillery weapon, greater and greater armor was needed to defend against them. Castles and other structures of stone could be easily destroyed by cannon fire, which is what eventually put an end to the castle as a defensive weapon. Airplanes merely increased this problem, as bombs dropped from an airplane are essentially a bigger and more powerful artillery shell, able to “fire” much farther than any artillery ever built. Bunkers started out as the safe rooms in castles, where the royal family would retreat if the outer walls were breached. As castles became obsolete, the need for that safe room didn’t. If anything, artillery fire and bombs dropped from airplanes increased the need for a safe room. It just became harder to build one. So the designers of these safe rooms moved them underground, where the earth itself helped provide armor plating. Aviation as a tool of war really came into its own in World War II. One of the key parts of this was the massive bomber attacks that the Allies sent against Germany. German military architects needed to develop some means of protecting their various military and government headquarters from those massive aerial bombardments and so developed the bunker into an art form. NAZI Germany had countless bunkers, mostly housing critical military functions. The idea was mirrored in Europe and soon thereafter in the Northeast United States. The risk of the Germans sending waves of bombers across the Atlantic was minimal, but it was possible. So, wealthy homeowners added concrete “bomb shelters” (read bunkers) to their homes, as a means of protecting their families against such an attack. The Cold War merely increased the need for these bunkers, which were renamed as “fallout shelters;” a place to retreat to in case of thermonuclear war. While most fallout shelters wouldn’t protect against a direct hit, they could protect against the fallout that followed, making them essential for survival. Of anything that mankind has created, bunkers provide the greatest possible protection from aerial bombardment. During the Gulf War the US Air Force devoted a lot of time and effort to destroying Saddam Hussein’s extensive bunker network. Yet much of it remained intact. While the Air Force was able to destroy some bunkers, the special munitions requires for such a mission are expensive and in finite supply. So many bunkers survived. Today, we face little risk of aerial bombardment, as we have no enemies who are poised to send waves of bombers to America, with the purpose of bombing out cities into oblivion. But we do face one threat, for which bunkers are the best possible protection, thermonuclear war. While the Cold War is long gone, we are at the cusp of entering into a new Cold War with North Korea. Unlike the last cold war, this one could very easily turn hot, simply because Kim Jong-un isn’t building nuclear tipped missiles for defensive purposes, like both the United States and the now-defunct Soviet Union did. Rather, he has stated over and over his intent to use his nuclear arsenal to attack the United States of America. Should he come through on his threat and start sending nukes our way, a bunker is your best chance of survival, especially if you live in or near a big city, near a major government installation or near a military base. While it probably wouldn’t survive a direct hit, it would survive a hit a few miles away. The other way that North Korea could attack us with nuclear weapons is through a high-altitude EMP. This would take out our electrical grid, rendering our infrastructure inoperable. Such an attack would cause little physical damage, other than to electronics. So the bunker wouldn’t protect you in any way. However, a properly built bunker can also serve as a Faraday Cage, protecting any electronics stored inside. So it could be a help in that case. I have to say, most people who are building bunkers these days aren’t talking about protecting themselves from an aerial bombardment or a nuclear war; they’re talking about using it to protect themselves from social unrest. In such a scenario, the utility of a bunker to protect you is highly questionable. These people are counting on their bunkers to protect them, based on the idea that it is virtually impossible to shoot into a bunker from the outside. As long as they stay inside their bunker, anyone outside is unable to attack them effectively. All they have to do is wait out the problem. While this idea has some merit, it also has some major flaws. It is a one-dimensional solution to a multi-dimensional problem. It assumes that the only way that roving bands of marauders can attack you is to shoot you. If that’s the case, then hiding in a bunker is ideal protection from such a risk. But it assumes that the bad guys only weapon against you is firearms. It also assumes that the bunker can hide you from the bad guys, hopefully keeping them from finding you. While I have to say that this assumption has a fair amount of merit, it isn’t perfect. I’m sure that it will be harder to find people who are hiding in a bunker, than it will be to find people hiding in a cabin in the woods. But anyone finding a bunker is going to rightly assume that there is something inside, that’s worth the effort to break into the bunker to get. Bunkers all have weaknesses. Generally speaking, the entryway is the prime one. Few entryways are as strong as the rest of the bunker, simply because you have to be able to get in and out. While the entryway can be armored and strong locks can be used, there are always ways of getting through. One such way would be to use a cutting torch to cut through the entry hatch itself. Most animals instinctively know that they shouldn’t have a den with only one way in and out. They’ll have an escape route as well. Bunker designers take this into account, providing an emergency exit on their designs. But that emergency exit is rarely more than 50 feet from the entrance. Even if it is hidden in a bush, anyone watching your bunker is going to see you pop out of the ground 50 feet away. So that emergency exit really isn’t going to do much good. For the emergency exit to really function as it should, it would have to run a couple hundred feet away and hopefully come to the surface on the other side of the hill, where it wouldn’t be visible. But that rarely happens, either due to costs or the limits created by not owning enough land. The other big weakness to bunkers is that they all need a way of getting air into the bunker. Otherwise, the oxygen inside gets used up and the people end up dead. Hiding the air tube is at least as hard as hiding the entryway. Once the bad guys find the air tube, all they have to do is connect a hose from the exhaust of a truck to the air tube and they can poison whoever is inside. Then they don’t have to worry about you shooting them as they break in. You’ll either be dead or close to dead. End of story. So, bunkers aren’t an ideal way of protecting you from social unrest. If anything, they increase the potential danger to you and your family, by denying you the ability to fight back. Ultimately, it is your ability to fight back against any attackers, which is your greatest protection. No passive defensive measure, including a bunker, can fully protect you from a determined attacker.